Stylish country pub and restaurant on the site of a former coaching inn dating back to the 17th Century. Welcoming lounges and intimate alcoves create the perfect backdrop to a modern and accessible English cuisine. Come and enjoy an Ale and hearty snack in the garden, a meal with family and friends, or an intimate dinner for two. Great service, friendly young staff. Food good quality and nice atmosphere. 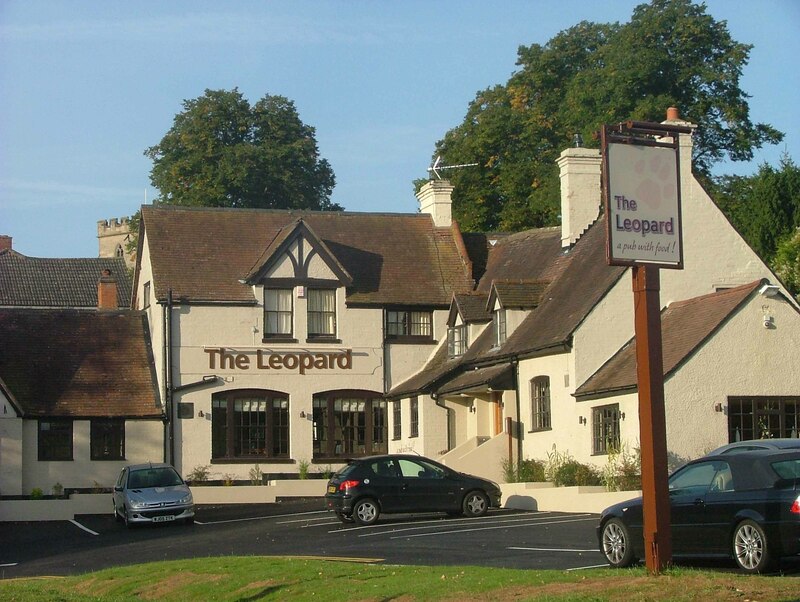 As locals, it’s good to see consistency- keep it up the leopard and we’ll keep coming back! We had a lovely time, the food was excellent and our waiter was very helpful. Looking forward to our next visit. Great pub , good atmosphere , good food . Recommend the sharer plates . We enjoyed it . The best Sunday lunch we have had out in a long time £20 for 3 courses cannot be beaten and the quality is outstanding. This was my first visit since it had changed hands. It was busy being mother’s day, but there were enough staff to cope. The food was excellent and I shall definitely return. We were perfectly accommodated in a private lunchtime reception for 30 following my mother's funeral at Oakley Wood. Lovely place. Very nice staff. Bit slow getting the food out. Way too much onion in the duck salad otherwise food was good. We had a wonderful meal for my son's 14th birthday. I told them it was for his birthday when I booked. I was a little bit disappointed that nothing at all was done by them for this. Like other places give a free slice of cake with a candle on or a small scoop of ice cream with a candle. But there was nothing. I know I could have took my own proper cake but unfortunately I couldn't find an appropriate style or size. Also, my father thought the portion sixes could have been a bit bigger for the price. He doesn't get out much and the portion size was perfect for me. I would definitely go again. Very pleased with the whole visit. table was booked for 15 people on a busy sunday afternoon. Had fantastic meals all round , will definitely go back. Our waiter Sam was polite, efficient and also patient and kind to our children (one of whom is rather shy around strangers and needed time to pluck up the courage to place his order!) We thoroughly enjoyed our meals and the whole evening generally. We wanted to give Sam an individual tip, as he’d been so helpful throughout the evening, but when paying by card, this isn’t possible. We will remember to bring some cash along next time ... ! 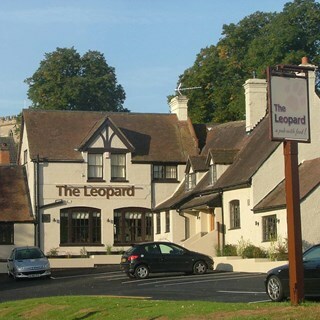 The team at the Leopard supported our family at a wake on the 21st Mar 2019 with an excellent service, we would certainly recommend to others. One of us is a foodie and she was so impressed with the meal she actually sent a message to the chef via the server to say how wonderful she found the monk fish dish...if you knew her you would know how remarkable that is!!!! The staff are all lovely and very attentive but not obtrusive. Only slight negative is some of the tables are a wee bit too close together. See you again. Booking made thanks to the efficiency of Claudia and Philip. Service on the day was excellent by friendly and efficient staff. Catering for a celebratory gathering following my mother's funeral at Oakley Wood was never going to be easy as it is so hard to judge attending numbers in advance. owever, the service all round from yourselves was outstanding and even though our numbers dramatically increased on the day over and above those we booked for, your staff never failed to assist in every way. The food was excellent and also such good value. Well done to one and all at The Leopard for helping to make a sad occasion into a very enjoyable and pleasing experience.